December 27, 2007 - The Texas coast, Aransas National wildlife refuge. Processing shots from recent trip still..
Love all the textures in this. 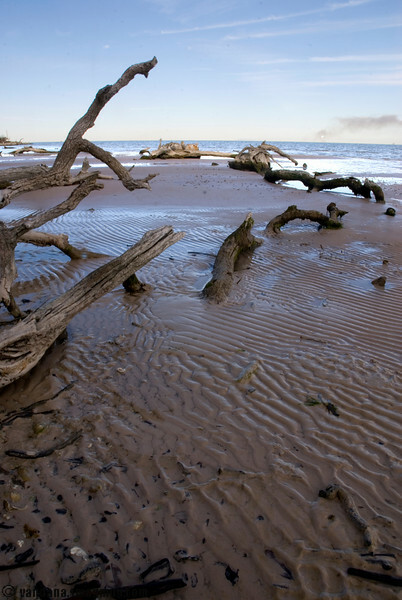 reminds me of a nice driftwood covered beach on jekyll island, GA -- very nice! Love the texture of the sand. Your photo's keep making me wish I could be there. maybe some day. I want this framed for my house! The compsition, perspective and those interesting markings in the sand ..... well, I could just sit and look at this and relax forever.